Interview in Orlando, Florida at the Pan American Masters Swimming Championships! On this episode of the #AskASwimPro show, we’re in Orlando, Florida at the Pan American Masters Swimming Championships with Steve West. Steve West is a world class masters swimmer and serves on the International Swimming Hall of Fame Board of Directors. He swims for Irvine Novaquatics and has been named one of Swimming World’s World Masters Swimmers of the year multiple times and has broken multiple world records in the Breaststroke events. Steve is also the Co-founder & CEO of Metafuse, Inc., makers of Project Insight, cloud project and portfolio management software. His passions include competitive swimming, surfing and software engineering. I first met Steve at a U.S. Masters Swimming Short Course Nationals a couple of years ago. He’s a great guy and advocate for living a healthy lifestyle through swimming! 0:25 – Steve West’s Pan American Masters Meet line up. 0:50 – What it was like growing up in Huntington Beach. 1:20 – Coming out of retirement (the first time)! 2:28 – Between phases of retirement (2000-2009). 3:13 – Swimming at the 2012 U.S. Olympic Trials. 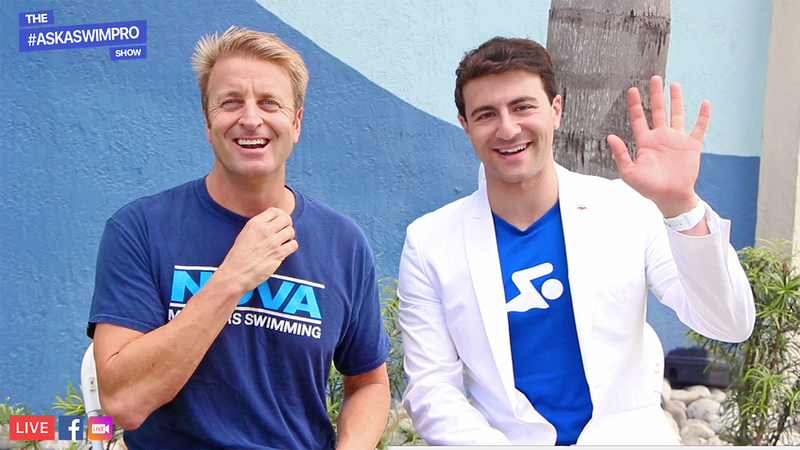 3:37 – How Ed Moses tricked Steve into swimming the 200 Breaststroke. 4:15 – Qualifying for the Olympic Trials without even knowing it! 5:00 – How Scott Jackson convinced Steve to compete at 2012 Trials! 5:30 – The value of team in swimming. 6:10 – Steve West’s current training schedule. 7:20 – Balancing swim training, strength training, and flexibility. 7:40 – How training has changed over the last three decades. 8:40 – What it was like training at the University of Michigan. 9:00 – Average weekly swim volume. 9:53 – The importance of technique in swim training. 10:05 – Example challenge sets. 10:40 – How to tell when your stroke is overly fatiguing. 11:20 – Long Course vs Short Course training. 11:50 – Distance training for breaststroke. 12:30 – Thoughts on tapering for a championship meet. 12:50 – What’s a Steve West meet warmup. 14:35 – Looking at the future of the sport (next 10 years). 15:42 – Thoughts on Caeleb Dressel’s 17.63 American Record. 16:36 – Advice for swimmers looking to get into Masters swimming.